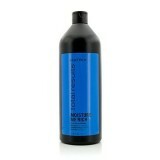 *When using this system of Shampoo, Conditioner and Treatment vs. a non-conditioning shampoo. 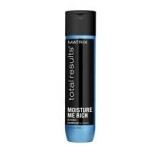 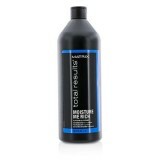 Matrix Total Results Moisture Me Rich Shampoo with glycerin, helps restore moisture. Hair is soft..
Matrix Total Results Moisture Me Rich Conditioner nourishes hair for instant soft effect. 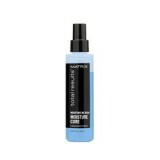 Cares f..
Moisture Me Rich Moisture Cure leave-in treatment instantly revitalizes hair fibers for moisture ..